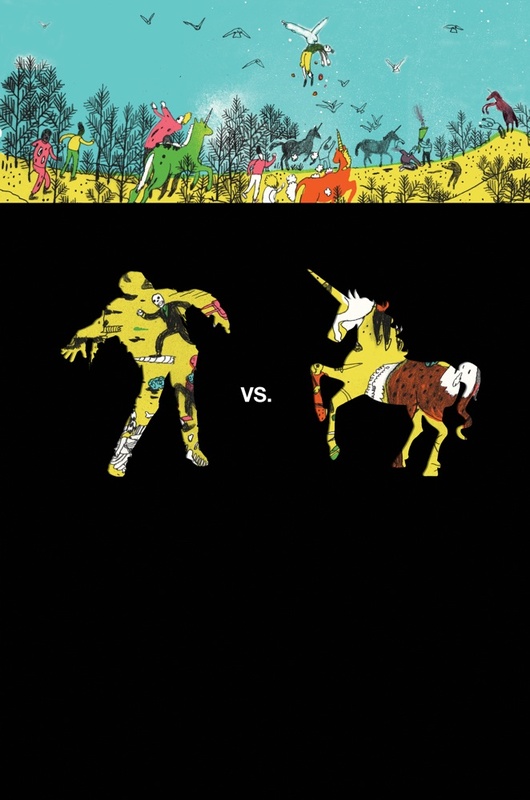 Friday Feud: Zombies Vs. Unicorns | Why, A Blog! 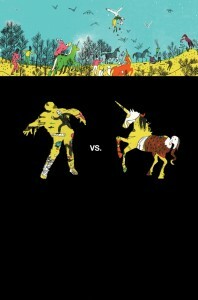 The topic of today’s Friday Feud is: ZOMBIES VS. UNICORNS, inspired by the book of the same title. It’s a collection of short stories edited by Holly Black (Team Unicorn) and Justine Larbalestier (Team Zombie). I was a little skeptical of the book before I read it–I mean, how much is there really to say about unicorns and zombies? Well, it turns out there’s a lot, and the book has a great variety of stories with lots of really creative takes on both zombies and unicorns. I also loved the sassy commentary from Black and Larbalestier that prefaced each story. But it leads to the obvious question: which side are you on, anyway? Did you guess? Do you want another hint? Sigh… so majestic. Anyway, in case these mind-blowing images don’t make it apparent why I am on Team Unicorn, let me share some UniFacts I found on Wikipedia and elsewhere. Unicorns originated in ancient Greek natural history texts. The Greeks believed them to be a real animal, not mythical. You know what else the Greeks thought was real? Democracy. 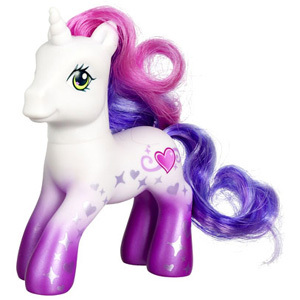 There are several references to unicorns in King James Bible, though the American Standard Bible apparently changes “unicorn” to “wild ox.” Um, please. If the Holy Scripture says “God brought them out of Egypt; he hath as it were the strength of an unicorn,” (Numbers 22:22) do you really think you can just change it to “wild ox”? What kind of a religion is that? You know who else is on Team Unicorn? Your role model and mine, Lady Gaga. Observe: the unicorn-studded “Born this Way” video, her unicorn tattoo, her unicorn piano. If Lady Gaga is Team Unicorn, can you afford not to be? If Lady Gaga isn’t enough to convince you, how about Harry Potter? Recall the words of the wise centaur Firenze from Harry Potter and the Socercer’s Stone: “That is because it is a monstrous thing, to slay a unicorn. Only one who has nothing to lose, and everything to gain, would commit such a crime. 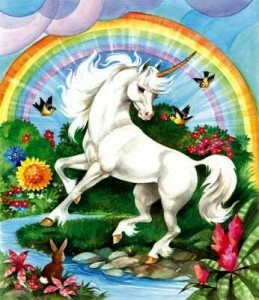 The blood of a unicorn will keep you alive, even if you are an inch from death, but at a terrible price. You have slain something pure and defenseless to save yourself, and you will have but a half-life, a cursed life, from the moment the blood touches your lips.” You know what you are if you kill a zombie? A goddamn hero.